Woot! I looked at the noses of real pugs and that is how I did it for my pug. June 14, 2010 at 12:11 p.m. Thank you so much! 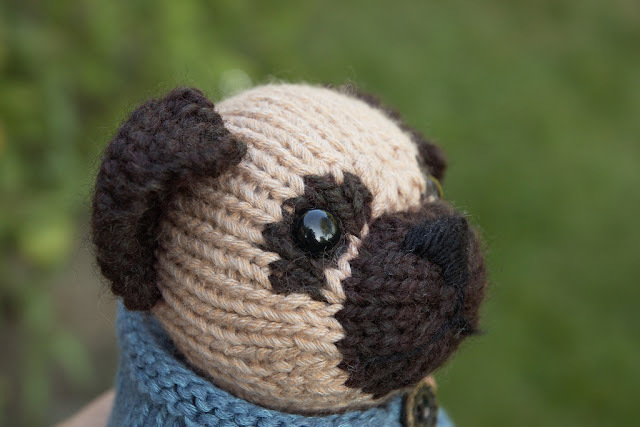 I have a pug, love the pattern, and the video helps a lot. It's awesome you took the time to do it. Thank you! June 14, 2010 at 2:59 p.m. Thank you so much for the video tutorial! Very helpful. Whoa - Anita - how COOL was that graphic! And Barbara - you're going to think I am SO weird, but I love you, love you, love love love. Every time I see a new fuzzy blog on my Reader, it makes me feel like I got a present. I love being taught. And I love buying your patterns for myself - and for my friends. June 14, 2010 at 4:56 p.m. Thanks so much for the great video! I've made 3 pugs now and wasn't sure how to stop the nose from sticking out. I can't wait to try it again with the new tips for the nose! June 14, 2010 at 11:39 p.m.